Cleans up to 500 sq. ft.
"Godzilla" Sized for cleaning LARGE AREAS of Hard Surfaces for Dog Urine, Cat Urine, Human Urine STAINS and ODORS. Using the UrineOut Powder™ this is designed for the removal of BOTH urine stains &/or urine odors from hard surfaces such as Hardwood Floors, Tile, Grout, Concrete, Etc. Cleans Up to 400 sq. 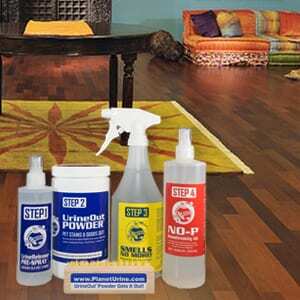 ft.
Intended for the removal of urine ODORS ONLY in hard surfaces such as hardwood floors, tile, grout, concrete, etc. Cleans up to 125 sq. ft.
Hard Surface Cleaning for Dog Urine, Cat Urine, Human Urine STAINS and ODORS. 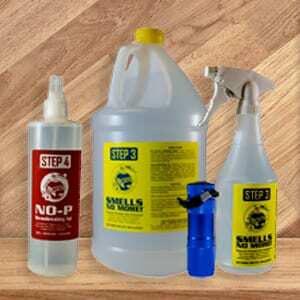 Intended for the removal of urine ODORS ONLY in hard surfaces such as concrete, tile, hardwood floors, etc.